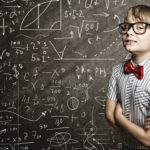 If you are new to nootropics, and don’t know where to start, this post is for you. I’ll not insult your intelligence and suggest starting with something simple like caffeine and L-Theanine. Instead, let’s put together a stack that’s simple, safe and powerful. And won’t crush your monthly budget. First, let’s lay the ground rules for building a stack. Dr. Giurgea, the chemist who came up with Piracetam in 1963, gave us a list of 5 criteria that a substance must have to be considered a true nootropic. The bottom-line is this stack must be safe to use even long-term. You’ll make improvements to cognition and mood. And if you decide nootropics aren’t for you, you’ll simply go back to baseline where you started. With no damage done and nothing to repair. 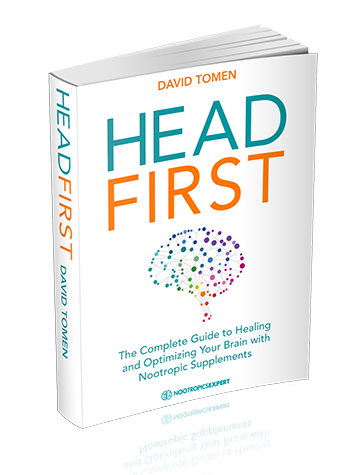 It’s important to understand that a nootropic stack should work synergistically. Because each supplement has a different mechanism of action in your brain and body. And each supplement in your stack should support the other nootropics in your stack. For example, acetylcholine’s function in your brain is needed for encoding new memories, reasoning, concentration, cognition and growth of new neurons (neurogenesis). Once acetylcholine does its job, the enzyme acetylcholinesterase comes in and breaks down acetylcholine. You can increase acetylcholine by adding Alpha GPC, CDP-Choline or Acetyl-L-Carnitine (ALCAR) to your stack. But if you use more than one acetylcholine (ACh) precursor or supplement, you can boost ACh too much. Excess ACh can cause depression, irritability, muscle pain and a host of other problems. Also keep in mind that a nootropic like Huperzine-A inhibits acetylcholinesterase. Which increases ACh levels in your brain. So if you are using Hup-A in your stack, you may want to cut back on your dose of Alpha GPC, CDP-Choline or other choline supplement. Many nootropic supplements either increase ACh or inhibit acetylcholinesterase. If you take more than one choline supplement, you’ll hit a ceiling and not get a synergistic effect. The same goes for other neurotransmitters, and many other supplements in our List of Nootropics. Keep in mind that the effect of some nootropics can be cumulative. And the effects build up in your brain over time. A good example is Huperzine-A which has a half-life of 24-hours. 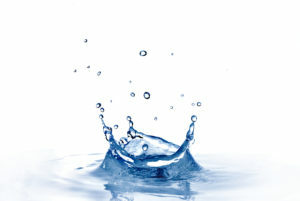 Dosing Hup-A everyday means your body never has a chance to get rid of some of the Hup-A, and it builds up over-time. Even in the short-term. Which can be toxic. So you should cycle Huperzine-A and restrict use to every 2nd or 3rd day. For each nootropic you are considering, always, always read dosage recommendations, side effects and possible interaction with other nootropics or prescription drugs. Another thing to consider is that some nootropics are water-soluble. And some are fat-soluble. Water-soluble nootropics are generally easily absorbed. Fat-soluble nootropics however, require a quality fat to ensure they get used by your brain. And can cross your blood-brain barrier and enter brain cells. This explains why some supplement labels recommend you take their nootropic with a meal. The manufacturer is implying that it’s a fat-soluble supplement. And they’re counting on the fat in your meal to boost bioavailability. Whenever I’m about to take my nootropic stack, I always precede it with a tablespoon of extra virgin, cold-pressed coconut oil. You can also use extra virgin, cold-pressed olive oil. But I prefer coconut oil because the MCT’s are like rocket fuel for my brain. In addition to helping my brain absorb whatever fat-soluble nootropics I’m using. This stack works well for someone just starting out with nootropics. And it works well for experienced neurohackers as well. CDP-Choline (Citicoline) 250 mg per day taken in the morning. This highly bioavailable source of choline easily crosses the blood-brain barrier. CDP-Choline is metabolized in your body to form choline and cytidine. Choline aids in the synthesis of the neurotransmitter acetylcholine (ACh) in your brain. And cytidine converts to uridine which is important for forming brain cell membranes. Bacopa Monnieri (45% bacosides) 450 mg per day taken in the morning. Bacopa is an adaptogen which helps prevent the chemical and physical effects of stress. Instead of just suppressing them like prescription antidepressants. Bacopa Monnieri is used to reduce anxiety, depression and stress. And helps boost memory, concentration and reaction time. Bacopa is also used for neuroprotection by helping to maintain a healthy balance of neurotransmitters. Bacopa is also effective in treating many of the symptoms of ADHD. Lion’s Mane Mushroom 500 mg to 3 gm per day depending on polysaccharide content. Lion’s Mane prevents neuron damage and boosts Brain Nerve Growth Factor which is important to forming new neurons (neurogenesis). Lion’s Mane can help improve focus and attention, boost cognition, repair brain cells, and help anxiety and depression. N-Acetyl-L-Tyrosine (NALT) 300 – 500 mg per day taken in the morning. NALT is a highly bioavailable form of L-Tyrosine which is used in your brain to synthesize dopamine. And the neurotransmitter norepinephrine. NALT helps alertness, concentration, executive function, focus, libido, memory, and works like an antidepressant. L-Theanine 250 – 500 mg per day taken in the morning. Or split in two doses. One in the morning. And one at noon. Or you can drink 3 or 4 cups of organic green tea during your day. Green tea is an excellent source of L-Theanine. It works quickly and helps increase both dopamine and serotonin. The “feel good” neurotransmitters in your brain. L-Theanine stacked with caffeine provides a synergistic effect that helps promote cognition, motivation and attention. With no caffeine jitters. Vinpocetine 10 mg dosed up to 3-times per day. Vinpocetine helps brain blood flow by dilating blood vessels. And reducing viscosity or blood thickness. Boosting cerebral circulation with Vinpocetine increases levels of oxygen and glucose which maintains healthy levels of neurotransmitters. And promotes better concentration, focus and memory. DHA (Omega-3) 1000 mg per day taken in the morning. Your brain is made up of 60% fat and much of it is in the form of DHA. This fat helps in the formation of brain cell membranes. And plays a vital role in how neurons and synapses function. Synergistic with CDP-Choline, DHA helps in the formation of phosphatidylserine (PS) and phosphatidylcholine (PC). Two important components that make up your brain cell membranes. Low levels of DHA can lead to ADHD, anxiety, depression, obesity, suicide, and increased risk of Alzheimer’s and dementia. B-Vitamin Complex daily in the morning. Make sure you get a formula that is considerably higher than RDA recommendations. Vitamin B1 (thiamine) is essential for producing the neurotransmitter acetylcholine. It helps turn nutrients into adenosine triphosphate (ATP), the fuel used by your cell’s mitochondria. And contributes to the myelin sheath that protects neurons from damage. Vitamin B3 (Niacin) is used in the synthesis of Coenzyme-A which helps form Acetyl-CoA. Acetyl-CoA joins with choline (which you get from CDP-Choline) to form acetylcholine. Niacin is also a precursor to NAD and NADH needed for ATP synthesis to fuel brain cell mitochondria. And Niacin stimulates the production of dopamine, norepinephrine and serotonin. Neurotransmitters involved in cognition, learning, memory, mood and recall. Vitamin B5 (Pantothenic Acid) is required for the synthesis of Coenzyme-A to produce acetylcholine. You may not realize the full benefit of the rest of this nootropic stack containing CDP-Choline, or any of the racetams you may decide to add to this stack, without Vitamin B5. Vitamin B6 (Pyridoxine) helps your body make serotonin, norepinephrine and melatonin. 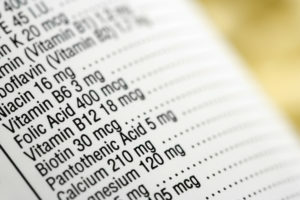 Your body also requires Vitamin B6 to absorb Vitamin B12 and to make red blood cells and cells for your immune system. Vitamin B8 (Inositol) is involved in brain cell signaling, and is a component of brain cell membranes. Inositol helps boost serotonin and dopamine receptor density. Improving the effectiveness of serotonin, GABA, glutamate and dopamine neurotransmitters in your brain. Vitamin B9 (Folate) aids in the production of DNA and RNA in your brain cells. And works closely with Vitamin B12 to make red blood cells, and help iron work properly in your body and brain. Vitamin B12 (methylcobalamin) is needed to regulate homocysteine levels which are linked to inflammation in your brain and body. And B12 is a cofactor in the synthesis of neurotransmitters dopamine, GABA, norepinephrine and serotonin. Our beginner nootropic stack covers all the criteria mentioned in the introduction to this post. 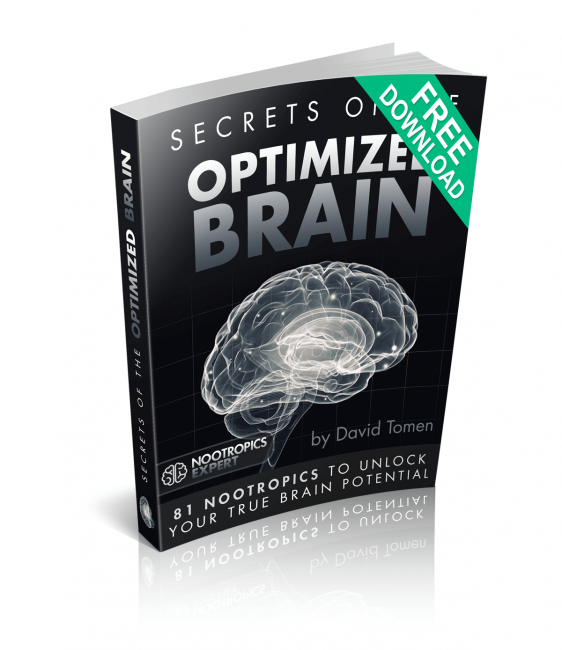 For approximately $82 per month you can begin optimizing your brain. I suggest using a tablespoon of extra virgin, cold-pressed coconut oil before each of your doses. To ensure maximum bioavailability and absorption by your body and brain. Nootropic powders usually come with a measuring scoop to help you calculate your dose. For a more accurate measurement, I recommend using a scale like the American Weigh Scales Digital Pocket Scale. And you can make your own capsules using a simple tabletop machine like the Capsule Connection Capsule Machine which you can get usually for under $20. You may also want to consider trying Mind Lab Pro®, a high quality premade nootropic stack which contains all the supplements in our beginner’s formula. Mind Lab Pro also contains Phosphatidylserine (PS), Rhodiola Rosea and Pterostilbene. For less than buying each nootropic supplement on its own. Another good option for a quality pre-made stack is made by the same company who make Mind Lab Pro. Opti Nutra Advanced Nutraceuticals® now have a line of supplements called Performance Lab® which includes two nootropic stacks. Performance Lab® Mind contains Citicoline, Phosphatidylserine (PS), NALT and Maritime Pine Bark extract. Supporting focus, mental processing speed, cognition under stress, multitasking, motivation, memory, and brain health recovery. Performance Lab® Energy contains ALCAR, R-Lipoic Acid, Coenzyme Q10, PQQ, and Piperine. It’s a caffeine-free method of enhancing energy for body and mind. Supporting cellular ATP energy production, mitochondrial genesis and function, fat metabolism, and overall metabolic efficiency. For a more personalized nootropic stack, or one tailored to an issue you want to address (cognition, memory, depression, energy and motivation or brain repair and maintenance), see “How to Create the Best Nootropic Stack”. Each of the nootropics mentioned in the Beginners Guide to Nootropic Stacks have links to individual pages here on Nootropics Expert. Each nootropic article contains dozens of clinical studies. And much more detail on how each nootropic supplement helps optimize your brain. If you have any questions about your stack, or comments about the Beginners Stack we covered here, please leave a comment below. can i use alpha gpc in place of cdp choline? I decided to leave out racetams in this post because I wanted this to be a true beginner’s stack. 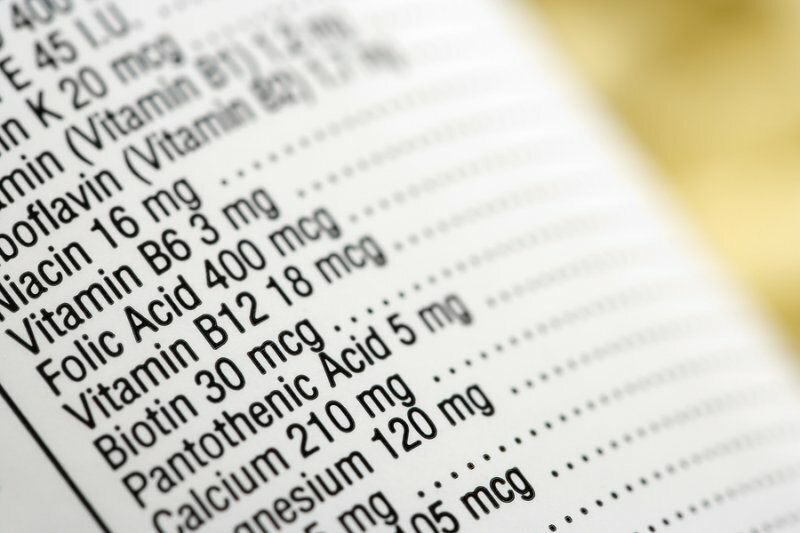 With supplements most people can get at their local vitamin shop or health food store. Racetams in my opinion, are for more advanced neurohackers. You really need to know what you’re doing. Know where to get quality product. Know how to measure accurately. And know how to dose and cycle. This is certainly not beginner stuff. For more advanced nootropic users, I have detailed suggestions for specific neurohacking goals on this page: https://nootropicsexpert.com/how-to-create-the-best-nootropic-stack/ which includes several racetams. Amazing. thank you very much for the detailed reply. Your blog is one of the most detailed/logical among the ones I’ve seen. Thank you for taking the time to share your knowledge. I’ve been using Mind Lab Pro myself and having great results with it. Thanks for the recommendation. I was just actually going to buy the product myself and after reading your testimonial I am considering buying it now. Thanks! BRO, SERIOUSLY, thank you so much for all you dedicated research and time. I am also a research professional and know how hard and time-consming it can be. You really nailed it. much love to you. Is Mind Lab Pro your company? Or are you affiliated with it? It was peculiarly awesome like your book, I felt a link between the two. If so, I would like to resell this product in the USA. please contact me. Thanks! Sage, Mind Lab Pro is not my company. But I love their product and have been using it daily for the last two years. It’s the best pre-formulated nootropic stack I’ve found so far. I believe they have an affiliate program. Please check out their website for an affiliate link. New to nootropics here. I am reading up on everything and read the beginners stack. Would you recommend starting with mind lab pro? Could anything be added to that for a beginners stack? I’m a young male who needs help with focus and memory, as well as anxiety and depression. Focus and memory would be the top priority. Not sure wether to by each nooptropic individually, or if there is some I can take additional from mind lab pro all while being cost effective. Evan, that is a great question about where to start with nootropics. If I knew back when I first started with nootropics what I know now, I would start with the highest quality pre-formulated stack I could find. And build from there. I’ve found that Mind Lab Pro is about the best pre-formulated stack on the market today. And a great way to get started experimenting with nootropics. If you were using MLP everyday, you should start noticing a real improvement in memory, focus, anxiety and mood within a couple of weeks. Some notice an improvement much sooner. But I would also add a high quality DHA (Omega-3) supplement, coconut or MCT oil, and either Aniracetam or Piracetam. Check out the review for each of those here on Nootropics Expert. Pay close attention to the dosage notes for each. A quick way to find them is the Table of Contents here > https://nootropicsexpert.com/nootropics-list/. But click through to the full review for each. As some users have already declared, your webpage is one of the most informative out there. 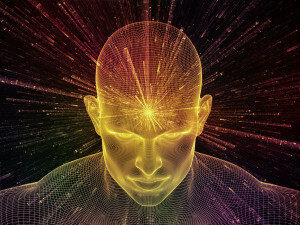 Clearly, as you already know, nootropics is a very big universe and if you don’t know where to start…the experience could be nothing but horseshit. On the other hand, i’m here for asking you a bit of advice. Few months ago i was taking noopept (30 mg per day) along with citicoline (300 mg per day), and Omega-3 (316 mg of EPA and 381.6 mg of DHA, among other vitamins). However, i experienced some headaches and brain fog. What did i do wrong?, according to me, this is a very basic stack and the effects were the opposite as i expected. Let me tell you, i´m from mexico and these products are not that cheap. Please, could you steered me towards the right direction? Thanks! Rafael, headaches are usually caused by using a racetam with not enough choline. Noopept is not technically a racetam but it does affect acetylcholine use in your brain. 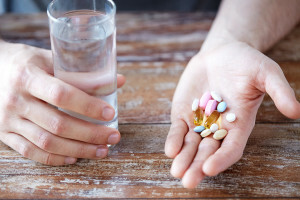 It could be you need to double your dose of Citicoline. Or Noopept is simply not the right nootropic for you. Omega-3 supplements can be trick as well because much of what if on the market are toxic because they are either rancid from spoilage. Or the fish used to make the supplement is full of heavy metals. That could cause problems. And vitamin selection is critically important. Because most contain synthetics your body cannot use. And have fillers and “other ingredients” that are toxic to your body. Hit the “Blog” button up top and see my posts on vitamins and minerals for more. And don’t give up on the racetams. You may want to try some with a longer track record like Piracetam. But always, always follow the dosage instructions that are in each review here on Nootropics Expert. I used OptiMind for a week and burned out my adrenals, with the caffeine in it and the supplemental coffee I drank. It wasn’t worth it to get so much done in a week and now this week I am so tired I can hardly lift my head. I know the supplements to take to regain my adrenals and it will take a few more weeks to get back to normal. Will MindLab Pro do the same thing? I thinking, since it doesn’t have caffeine, it may not. Wondering what your opinion might be? Sylvia, I’m happy to hear you now understand what to watch out for in a nootropic stack. It really irks me that companies add caffeine and other stimulants to their pre-formulated stacks. Because they think their customer wants to “feel” something immediately. People are smarter than that and beginning to catch on to this trick. Mind Lab Pro will NOT hurt your adrenals. In fact, MLP contains ingredients to help repair your brain and body. I’ve been using it every single day for over two years. And I have dealt with adrenal fatigue. My adrenals are healthy again and my brain is firing on all cylinders. I highly recommend Mind Lab Pro. I think I have commented before on another nootropic, anyway my question is here in australia what would you recommend as a decent mid range priced B Multivitamins that meet the criteria you specify. Also being on a Keto diet do you have any recommendations and suggestions to synergies the ketosis effect but also the keto alertness and energy. Also I am intermittent fasting for 16 hours to later planning to skip lunch occasionally so dinner only once to twice a week to start on; is there a nootropics that synergises during this 16 hour fast with no food intake, including a nootropics to help for appetite suppressant some days also, a fat burning nootropic for helping when i do my High Intensity Interval Training just before my first meal of the day for optimal ketosis burn. I realise these are more than a few questions but if you could address some of these, another Keto Nootroper in the community may find your response useful. I mention Keto and Intermittent Fasting as from a nutritional health perspective researcher I find that these regimen synergistic with the Brain Enhancing benefits of Nootropics, if not already I believe a book that collaborates with Dr. Jason Fung and your Nootropics Experience and Knowledge is an invaluable resource to consider for similarly minded wanting to include several regimens of enhancing the Mind And Body. John, see if you can find Life Extension’s “BioActive Complete B-Complex”. If it’s not available at least see if you can find a copy of the ingredients labels from the bottle. That is the ideal B-Complex supplement in my opinion. Both forms of vitamins used and dosages. I haven’t done any research into the keto diet. But it seems to me that since the “citric acid cycle” is the key pathway for metabolism, any nootropic that supports the citric acid (KREBs) cycle would benefit the keto diet. Also do a search on Nootropics Expert for the keyword “appetite” and others you can think of associated with diet. Coconut or MCT Oil, CBD Oil, and Ginseng come to mind. But I’m sure there are others. And thanks for the mention of Dr. Fung. I’ll contact him and see if he’s interested in some type of collaboration because it does make sense. Hi David! Is it safe to add to your “Beginner Nootropic Stack stack” GOTU KOLA? It should be safe. Just please see dosage recommendations and side effects. Hi: thanks so much for the info – great site! Am new to nootropics and wanted something to help me lift my mood/anxiety and make me feel peaceful, calm, happy. Naturopath gave me product called ‘Brain Power’ which had several of the items that you listed but not all. I took it but it seemed to create more anxiety and my mood dropped further. I would ask my ND but she’s gone away. Have reviewed your info and have now ordered the starter pack per your suggestion. I am hoping this lifts my mood substantially! Do you have any idea why the product the ND gave me did that to me? Thanks again! The root cause of anxiety can be caused by different issues including problems with dopamine, serotonin, norepinephrine, glutamate or GABA. There’s no way to tell what in that stack caused your mood problems without trying each nootropic in that stack separately and see how you react. If you run into the same problem again I suggest you stop and try one thing at at time to see how you feel. If it’s not a negative reaction the add the next supplement. Trial and error is the only way to find out what will work for your unique situation and physiology. As I still feel clueless about what to buy. I’m doing my best not to think of all my wasted years and mis-diagnoses of clinical depression and just being handed out anti-depressants ….which I took only once 28y ago and was numbed for months afterwards my doctor then said I didn’t want to help myself so refused any other help. I thank you for your website, it makes me weep in relief to see there is an explanation for my “stupid” brain. I was a constant dissapoointment for my parents and teachers in school because I never lived up to my potential and I always thought I was just lazy and stupid. I’ve now bought performance lab multi for women, energy and probiotics. I also bought Mind pro. I don’t this as I’m not sure if I understand the stacks enough to be safe. If you can recommend anything else alongside these for learning and lack of motivation please do. I’m aldo going to just take a tbsp of coconut oil with everything just to be safe. I’ll take my supplements with breakfast every morning. Hami, I know how you feel. Been there and it took awhile to dig out of how I was feeling. I wish something like Nootropics Expert was available years ago when I was going through my stuff. The Performance Lab Multi, Performance Lab Energy, Mind Lab Pro and prebiotic are a great start. I suggest you take half of your dose of the Multi, Mind Lab Pro and Energy with breakfast, and the other half dose at noon. Both times with coconut oil. The prebiotic can be taken in the morning as well. And you should start feeling better within days with consistent use. Never lose sight of the fact this has been broken for a long time. The human body and brain has an amazing way of healing itself given the right tools. But it will take time to repair. Stay with it and report back if you have any questions. You lovely man… my family thanks you, my very understand fiancé thanks you and I thank you again! Hi David! Since I heard your conversation with Ben Pakulski at his podcast – which I loved btw – I’ve started digging out to understand more about nootropics. I use bacopa and lions mane for quite a while but want to bring my nootropic usage to a different level. I’m an athlete, training 2-3x/day, 5-6 days a week and traveling a lot all around the country to compete. I’m currently on a Ketogenic diet and the use of the nootropics would be to support my performance, help repair any brain damage (few hits in the head every once in a while), keep my focus and motivation up but I also have a BIG, BIG concern, coming from a family with lots of Alzheimer’s cases and other mental issues. I’m taking CoQ10, Alcar, Alpha GPC, DHEA, Lion’s Mane, Bacopa and Rhodiola. Would you help me figure out if this is a good stack? Anything you recommend to add and/or stop taking? I’m very grateful for the work you do here and I’ve been telling about it to every body I know that want to improve their cognitive function! Leonardo, you are definitely on the right track here. But first, make sure that you are dosing everything correctly. Each of the nootropics in your stack is reviewed here on Nootropics Expert. Thank you so much for answering and all the material provided. I’m really grateful for that. I’ll go over all the links and make sure I follow the dosage directions. Thank you! Dave, is there a brand of B Complex that you can recommend? My problem is my husband needs one kind of B12 (methyl) and I need (adeno) and finding a good quality B Complex has always been problematic. I probably should have specified what I’m taking the stack for. That’s pretty much it, more than anything I want my stack to repair my brain and help me stop making careless mistakes all the time. Is this a good stack for what I’m looking for? Is the amount of vitamin b12 (300mg) in Life Extension’s B-Complex enough on a daily basis. Isn’t this suppose to be 1000mg? Frank, I think Life Extension is attempting to keep B12 at safe levels for the ‘average’ person. Remember, the ‘maintenance’ dose of B12, once your levels are optimal, is only 1,000 mcg ‘per month’. Day 1: morning -Sylimarin 200mg with choline 80mg , ALCAR 500mg + ALA 300mg ,afternoon resveratrol 200mg + red wine extract 100mg + grape seed extract 50mg. Everyday i take as well : good multi vitamin+multimineral , inositol 2-3gr ,omega 2gr , magnesium lysinate glycinate 250mg + magnesium l threonate 50mg ,vitamin D 2500ui , cink 20mg ,Vit C 1gr ,niacinamide 150mg , Probiotic , few cups of green tea,flax oil. 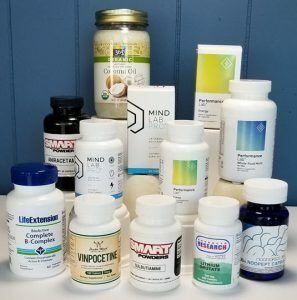 i would like to add to the stack Ashvagandha and Bacopa ,Lithium Orotate and CBD Oil but my concerns is Serotonine Syndrome ,if it will be safe to have all this nootropics together and at which dosages? My stack is because im dealing with GAD and small depression ,but im doing this for general health as well. I would be happy to listen your advice ,thanks in advance! Steve, as long as you are not using a prescription SSRI, MAOI or tricyclic antidepressant you shouldn’t be in danger of serotonin syndrome. But you are right that it is possible to boost serotonin too much just using nootropics. Look up the symptoms of excess serotonin so you can watch for the signs. Remember as well that too much serotonin will suppress dopamine which is not a good thing. Thanks for the answer David ,im not using any ssri ,maoi or tryciclic anti depresants ,also im not using tryptophan or 5-htp (i used tryptophan and 5-htp few months ago)and im still keeping them for anycase,but now im not using with this stack. What is your opinion,what to add to my stack from this supplements and at what dosage : Bacopa , Ashwaganda , Lithium orotate , CBD oil ,but to be on the safe side from Serotonine syndrome? Steve, you shouldn’t have any problem with excess serotonin as long as you follow the lower end of the “dosage recommendations” for each supplements. If I wanted to use the pre made mind lab pro stack could I also use it together with the pre and post workout stacks they offer? Performance Lab Pre-Workout (https://www.performancelab.com/supplements/pre-workout/) contains Creatine (for ATP mitochondrial energy), L-Citrulline (increases blood flow), L-Glutamine (increases the master antioxidant glutathione), L-Carnosine (scavenges free radicals and heavy metals), Pine Bark Extract (also in MLP for blood flow), and Cordyseps mushroom which I intend to review for Nootropics Expert because it boosts ATP in mitochondria. And the Performance Lab Post-Workout (https://www.performancelab.com/supplements/post-workout/) supplement contains Creatine (see above), Pomegranate (potent antioxidant), and Organic Coconut which I recommend using with each nootropic stack. Can I use Mind Lab Pro with the pre and post workout stacks they offer? I am currently taking Mucuna 400mg, GABA 400mg and L-Tryptophan 500mg. I’m feeling beneficial effects, but I still feel tired during the day. I am a beginner in the subject and I set up the next stack. Please see and answer some questions. 1) Is there synergy in these nootropics? 2) Are dosages and timings correct? 3) Can I take some to reduce the cost? 4) If there are errors can you indicate the replacement? Please, please help me set up an essential stock for myself. I’m a beginner. Jean, you can work with what you have so far. But I suggest checking the dosage for each supplement here on Nootropics Expert first. For example, your energy stack should be dosed morning and noon, and Mucuna should be dosed morning and noon. You may want to try L-Tyrosine in place of Mucuna and see if that works better for you.